One of the biggest fears that people have when temperatures drop is freezing pipes. While it may not sound like a big deal, when this happens it can do quite a bit of damage and wind up costing more than you’d think. It’s a fear that we’re understanding of, but one that we also know can be prevented. With nothing but cold temperatures in the forecast, you want to ensure that your pipes don’t freeze in the days and weeks to come. If you’re interested in learning what you can do to keep this from happening to your pipes, you’re in luck! Today’s blog is all about ways that you can prevent your pipes from freezing on the outside or the inside. 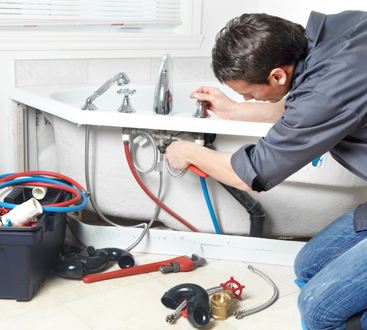 Depending on your plumbing situation, you may have more than the pipes running to your house to worry about. Either way, winterizing your home is absolutely necessary when it comes to avoiding frozen or burst pipes. This includes your sprinklers, any water features that you have outdoors, swimming pools, and pipes that are above ground. 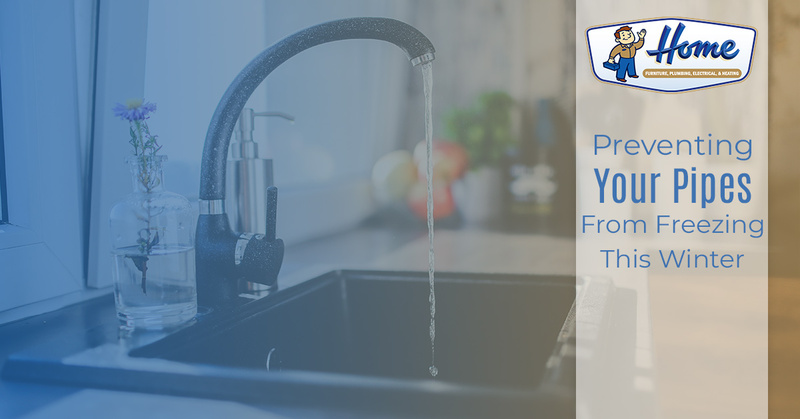 Having a plumber come out and ensure that these pipes are winterized is one of the best investments that you can make, and it’s something that you should do every year before temperatures drop too low. Aside from that, there are still a few things that you can do on your own to minimize the chances of frozen pipes. If you have any pipes that are located in crawl spaces or that run alongside your home, you’re going to want to make sure that you take some time to warp them up. There are various methods that will work, and while you might find multiple places online suggesting that you use towels, don’t. There are lots of professional options that are going to provide you with much better results and make the job of wrapping your pipes much easier. One of the suggestions that we have is UL-Listed Heat Tape of pipe insulation. Given that these products are designed to keep your pipes from freezing, you can anticipate a much better outcome. While the temperature of your house isn’t going to affect the temperature of your pipes directly, it will lessen the chances of you having to deal with frozen pipes. We suggest keeping your thermostat at around 60°. 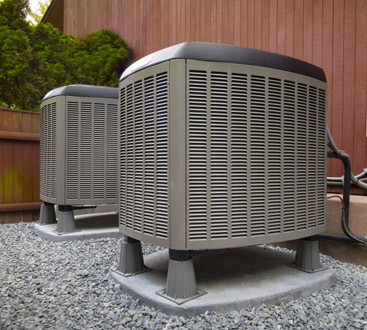 Even in the times where you’re not at home or out of town, you want to make sure that your house stays at a temperature that keeps the pipes from freezing. In all reality, the couple of extra dollars that you’ll pay to keep the space warm is worth not having to pay to tend to frozen pipes. There are times where you’ve taken all of the precautions, and still, you wind up with pipes that freeze. If this is the case for you, there are things that you can do to minimize the chances of damage. Start by thawing the freezing pipes that are closest to your faucets. Use towels soaked in hot water, hair dryers, electric heaters — whatever it takes! This should help get the water flowing again. If you wind up not being able to thaw out your pipes or you have pipes that are difficult or impossible for you to reach, contact your local plumber. Home Furnace Plumbing and Heating is happy to provide the plumbing services that the Kankakee area needs when temperatures get low. Contact our team if you’re in need of assistance with winterizing your home or need help with frozen or burst pipes! We would be more than happy to get you taken care of.